The Best Drag Queen blogs from thousands of top Drag Queen blogs in our index using search and social metrics. Data will be refreshed once a week. Also check out Top Drag Queen Youtube Channels list for Top videos on Drag Queen. Drag Queen newsletter is a comprehensive summary of the day's most important blog posts and news articles from the best Drag Queen websites on the web, and delivered to your email inbox each morning. To subscribe, simply provide us with your email address. About Blog Articles, photos and comments about Dragaholic on the gay and lesbian site Queerty. Facebook fans 134,764. Twitter followers 97,231. United Kingdom About Blog HISKIND is a lifestyle platform for gay men, the LGBT community and our allies that empowers and engages readers through interaction with the latest culture, music, fashion and thought. Facebook fans 5,859. Twitter followers 5,839. About Blog RuPaul's Drag Race is the place where you'll get the latest episodes of untalked and RuPaul's Drag Race on the best quality and as soon as this are aired. NYC About Blog With her glitzy outfits, sky-high wigs and false eyelashes long enough to embarrass Tammy Faye Baker, multi-talented drag artist Lady Bunny would turn heads even if looking glamorous was her only talent. Facebook fans n/a. Twitter followers 28,946. Mountain View, CA About Blog Comprehensive up-to-date news coverage on Drag Queen, from all over the world by Google News. Facebook fans 23,922,177. Twitter followers 213,650. San Francisco, CA About Blog A community dedicated to America's most popular drag competition, RUPAUL'S DRAG RACE! Facebook fans 1,146,217. Twitter followers 507,127. About Blog Drag Queens news and opinion. Read the latest headlines, news stories, and opinion from Politics, Entertainment, Lifestyle, blogs, and more. Facebook fans 9,728,566. Twitter followers n/a. London, UK About Blog Attitude was founded in 1994 and is the UK’s best-selling gay magazine. Attitude was founded in 1994 and is the UK’s best-selling gay magazine. Facebook fans 839,731. Twitter followers 171,407. About Blog Dragqueenmerch.com a division of Merch Stores, LLC is the "official" store for the queens you see on the website. DragQueenMerch offers a turnkey solution to drag queens to be able to have an online merchandise store which enables them to offer official products to their fan base. Facebook fans 1,176. Twitter followers 4,763. Brooklyn, NY About Blog Sasha Velour (b.1987) is a gender-fluid drag queen and designer currently living in Brooklyn, NY. Her creative work includes drag performance, publishing, fashion, and music. Facebook fans 94,682. Twitter followers 129,425. New York-Los Angeles About Blog WERRRK.com, your daily stop for best drag, pop culture, night life and entertainment coverage on the web! Facebook fans 7,760. Twitter followers 1,833. Brooklyn, NY About Blog VELOUR: The Drag Magazine (known in early stages as "VYM") celebrates the art of drag through fine art, poetry, and interviews! Edited and designed by Brooklyn drag legend Sasha Velour and her partner Johnny, each issue pairs drag innovators with visual artists and writers to create beautiful and thoughtful pieces about the power, beauty, and purpose of drag. Facebook fans 3,042. Twitter followers 823. LAX / JFK About Blog the official website of RuPaul.RuPaul’s Drag Race, which recently premiered on VH1 after eight seasons on Logo, millions more people are getting to know Ru. It’s incredible what he’s done for the drag queens who compete on that show—bringing them out, introducing them to a mainstream audience and letting them be proud of who they are and what they want to be. Facebook fans 1,177,733. Twitter followers 1,048,425. About Blog Drag Queens Galore is devoted to the art of drag. We love all drag, we focus mostly on drag queens, but do cover bio queens and drag kings. Our goal is to gain more exposure for those who have not made it on a show that focuses on 14 queens a year. Facebook fans 2,137. Twitter followers 3,857. Facebook fans 492,244. Twitter followers 155,796. NYC About Blog Hedda Lettuce is New York City's premier drag queen comic, a high-profile hostess and an active artist. Hedda has appeared on an array of trending networks, films, commercials and numerous off-broadway works. Facebook fans 6,830. Twitter followers 10,119. United States About Blog The Drag Enthusiast is a blog about the art of makeup and drag. Mission is to promote drag performers from all over the world. Facebook fans 2,710. Twitter followers 654. About Blog Drag queen, comedian, puppet enthusiast, spoofstress, self-proclaimed foodie, activist, friend, mutha, and fan of a comfy bed. Facebook fans 5,955. Twitter followers 9,199. Facebook fans 7,501. Twitter followers 840. Cardiff & Lincoln, UK About Blog Rest Is Drag, Hosting Premier Drag Nights In Cardiff. Starring The Queens Of RuPaul's Drag Race! Facebook fans 588. Twitter followers 319. About Blog Learn to live fabulously like a drag queen! Go from "life's a drag" to "LIFE'S A DRAG!!" Lifestyle tips and advice on how to make your life fierce and fabulous, full of glitter and rhinestones just like a drag queen! Facebook fans n/a. Twitter followers 1,346. About Blog Get ideas and tips from world famous drag queens! 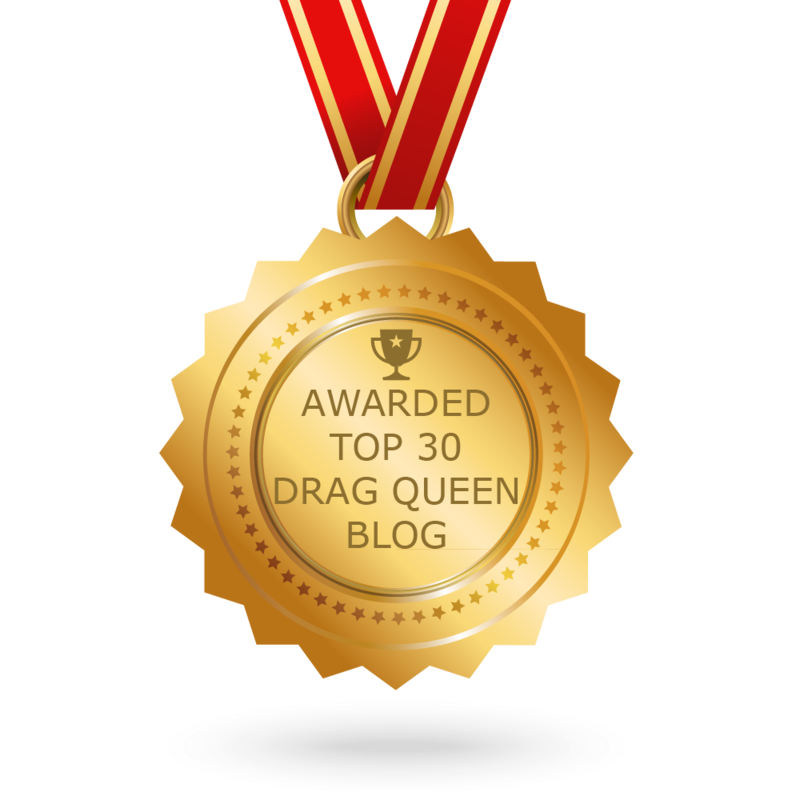 CONGRATULATIONS to every blogger that has made this Top Drag Queen Blogs list! This is the most comprehensive list of best Drag Queen blogs on the internet and I’m honoured to have you as part of this! I personally give you a high-five and want to thank you for your contribution to this world.